If you’re scratching your head, wondering what Cohen meant by those words, there’s no better explanation than the one he offers. You can find that here. 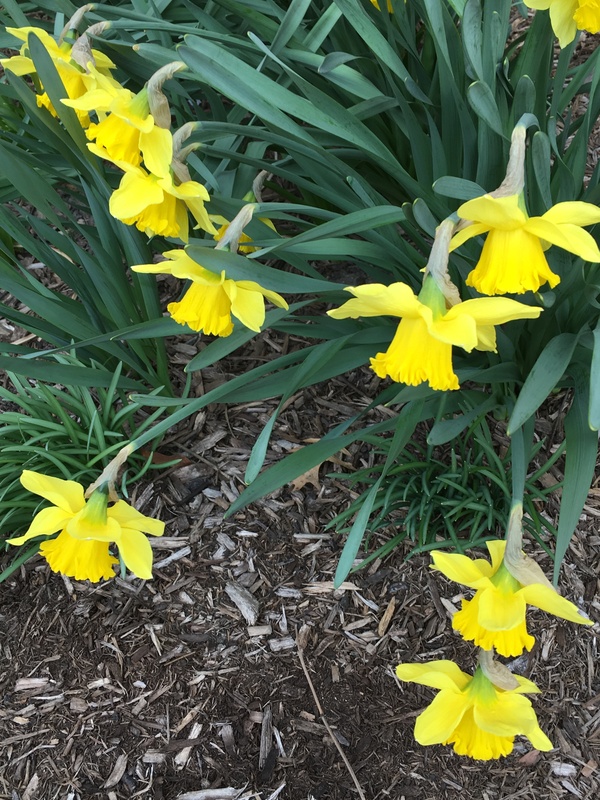 On a less-than-perfect cloudy day, these daffodils gracefully bending in the wind were a lovely reminder of the beauty to be had even in imperfection. 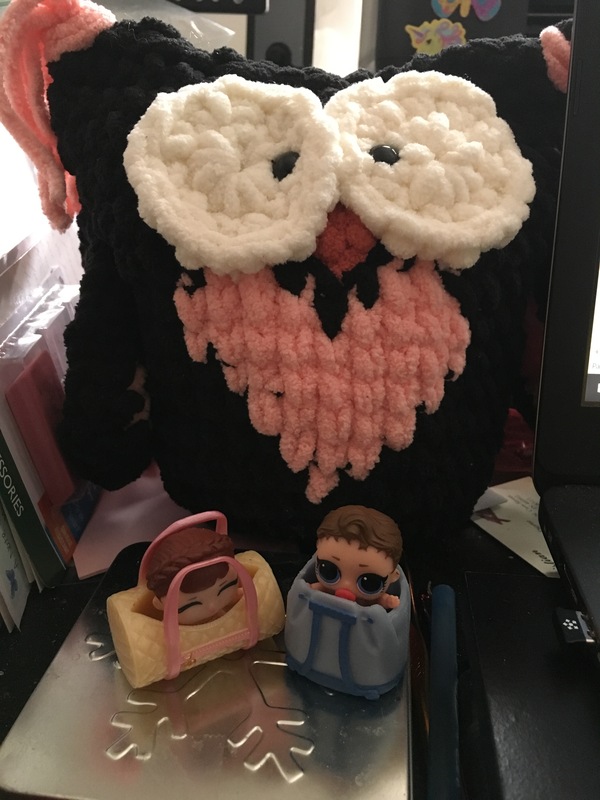 Babette is babysitting. Not sure who would trust her to do that. 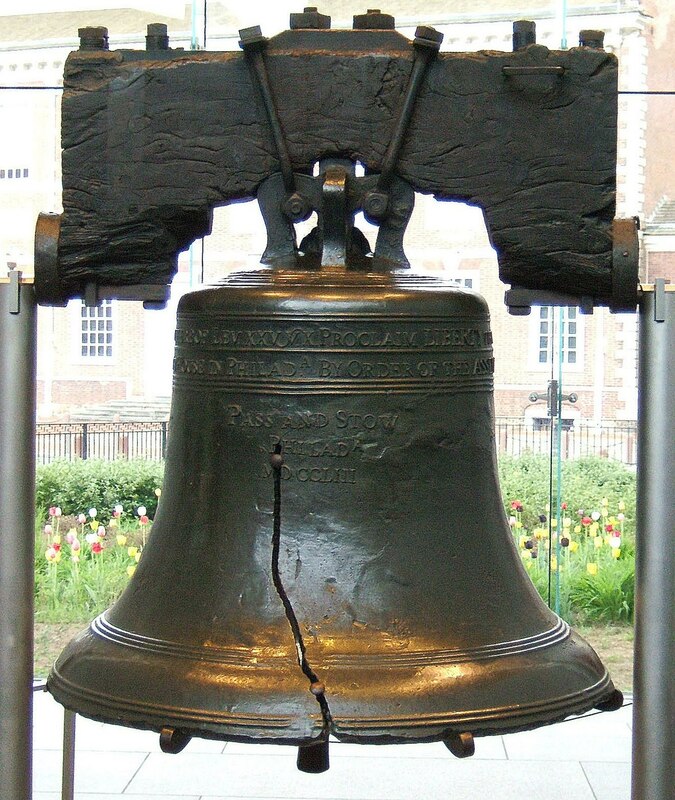 Liberty Bell photo from en.wikipedia.org. 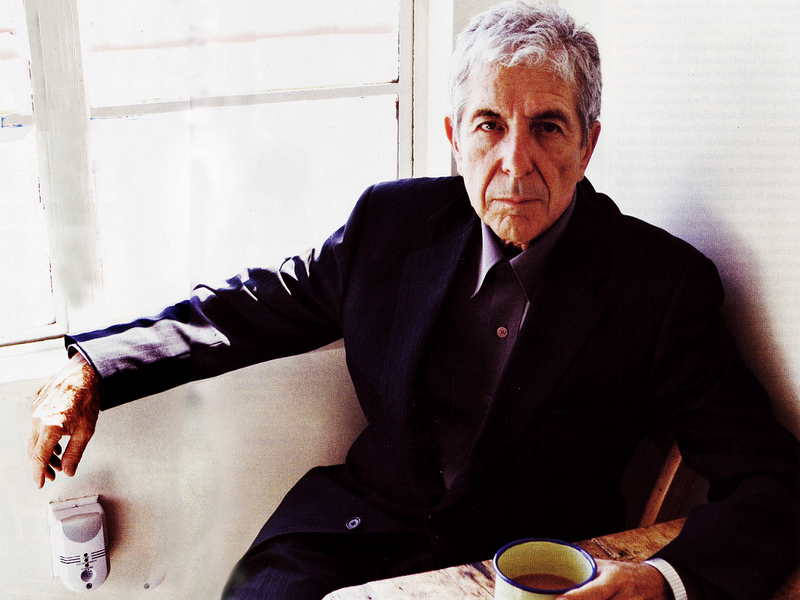 Leonard Cohen photo from fanpop.com. Other photos by L. Marie. This entry was posted in Blogs, Inspiring Authors, Life, Quotes and tagged Laura Bruno Lilly, Leonard Cohen, Perfection, Quotes by L. Marie. Bookmark the permalink. That’s such a great quote by Cohen. We’re all cracked in some way or another…and that’s a good thing. Great to see Babette! Ha, yes! I love that light gets through the crack. I like the idea that the hunt for perfection is a waste of time. I’ve been thinking that for years, especially with my writing. So many authors seem to never reach the publishing or even editing stage because they find a flaw that forces a total rewrite. Sometimes it causes them to sign up for a bunch of writing courses. Just seems like the quest for perfection is really a trap designed to lock people in a loop of doubt. The loop of doubt is a sad place to be. Sometimes fear is a factor–the fear that a piece of writing won’t be accepted as it is. While I think improving one’s craft in a course of study can be a good thing, if fear of rejection is behind it or the need to be perfect–well that’s not so good. The crack in everything quote is one of my favorites. I sometimes find myself repeating it over and over in my head when I’m talking with someone who could drive me crazy, but I won’t let them. Ha ha! Very wise, Ally. I think I’ll follow your lead and do the same. Aha a new-to-me ‘thingie’ that has huge potential in becoming a go-to mantra spoken under my breath during an especially blundering type of time I seem to be in at the moment. Thank you for your powerful and poetic offering, L.Marie. Great reminder, Marie. I remember a wall saying in a B&B in Victoria, BC: “A beautiful thing is never perfect,” tagged as an Egyptian proverb. Apparently the sentiment has a long history. And apparently it’s okay to be cracked . . .
I’m glad to supply that reminder, Marian! And I love that saying. Something to remind the kids in our lives! The daffodils are coming up nicely, despite the wind’s attempts to do away with them. Looking forward to flower photos on your blog. Being a lover of quotes, I tend to have very few I haven’t read before, but you surprised me with a new one I never heard. I absolutely love this quote . . . so much so that I looked up the song. The lyrics are so lovely. Thank you for sharing this. Oh Lori. You didn’t deserve to be snapped at by your doctor! And I’m sorry you had some hard encounters on social media. I hope someone goes out of his or her way to tell you that you’re special and appreciated to make up for all of the bad encounters you’ve had. Thank you for posting that link! I really enjoyed the parable, Nancy! Thank you, Laura! 😁 You know I thought of you when I selected that image. So true, FF! I’ve had to accept “good is good enough” when it comes to reviewing manuscripts, certainly, especially when I see that some manuscripts I would not have chosen have been selected. So that has caused me to realize that maybe I’ve been too critical on my own manuscripts! I loved this post. Thanks for the reminder. We’re all so imperfect, and lovable sometimes because of it. My dad had a space between his two front teeth. It looked so cute on him. I hate to bring up perfection in a comment about imperfection, but today was about the most perfect spring day here–blue skies, just under 70 degrees, a little breeze from the water, and all the flowers and new tender leaves making the world all colorful and bright. Thanks, Nicki! Sounds like a perfect day to me! That’s just the right temperature for me! Makes me want to stay outside!